Sparkly Paws specialises in grooming dogs undergoing rehabilitation for injuries, short-term and long-term conditions. We work alongside Splash Paws Canine Hydrotherapy Centre, which has two highly qualified Hydrotherapists, who are able to explain the dog’s condition to us and the best way to work around the dog, so that they are not in any discomfort whilst undergoing their regular grooming routine. Training for the real world – their aim throughout all the training is to aid people in understanding their dog’s individual needs based on breed, health and much more. Not one shoe fits all. Their training will equip you for the real world and give you the relationship you always dreamed of with your dog, making you an unbeatable team. Canine physiotherapy aims to accelerate healing by reducing pain, swelling and inflammation. 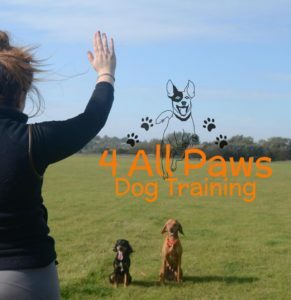 Goals include the re education of normal movement, an increase in strength, stamina and fitness and ultimately to return your dog to its happy healthy self. It is essential in the prevention, cure and rehabilitation of many canine conditions. Including soft tissue injuries, fractures, arthritis, and a number of different surgical procedures. Learn about what arthritis is, how to identify it in your dog and what the long term outlook is with our expert advice and knowledge pages. If you’re not sure whether your dog has arthritis or not, or if you want to find out more about what arthritis is and how it will affect your dog, this is the place to start.